Anup Rubens belts out four songs and a theme song for this album. Daler Mehendi, Uma Neha, Anurag Kulkarni, Anup Rubens, Jithin, Sree Kavya Chandana, Balakrishna Nandamuri, Divya Divakar, Mano, Geetha Madhuri are the singers. All the songs are by Bhaskarabhatla Ravi Kumar, with the exception of one number written by Pulagam Chinnarayana. Daler Mahendi has this knack for raising the standard of a song with his offbeat vocals. He does just that here. The voice is familiar and that only helps. Uma Neha is electrifying. Bhaskarabhatla's lyrics are high on a mass fervour. It's easy to be smitten by the bug since it's his pen which is elevating heroism. Anup Rubens tries to make it as pulsating as it can get. With Puri Jagannadh as director, expect the dance moves to do the rest. Music-wise, the song is a mixture of a melody and a folk beat in a subtle way. Anup achieves the blend with ease. He comes out with flying colours both as a musician and a singer. Sree Kavya Chandana's voice is merrily mellifluous. Bhaskarabhatla's lyrics embed poetry in an easy-to-understand, conversational language. 'Prapancham manatho undedi ela mayam ela ayyindo' takes the cake. At the conceptual level, the song comes with all the usual suspects. There is a lady trumpeting for the male protagonist with gay abandon, the hero has a loyal brigade indulging him, so on and so forth. 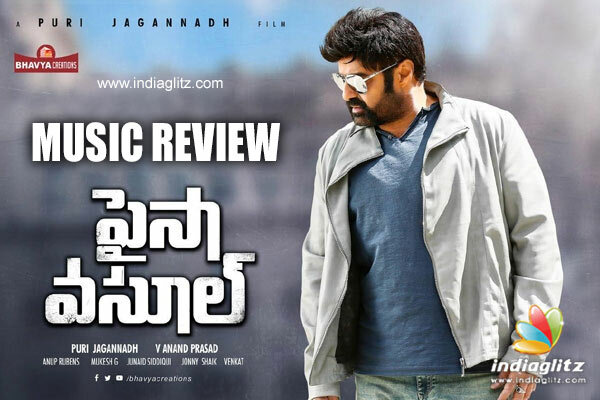 Such elements here are helped by Balakrishna's amateurish vocals. The singer is at his casual self and doesn't try hard to get musical. That's the best part. Divya Divakar is good. Lyrically, the stanzas needed more heft, especially because small-range and medium-range heroes by dime a dozen have acted in such songs. Mano complements the other heavy-duty voices of the album, namely, Daler Mehendi and Balakrishna. While it's welcome to see him back, the song lacks the verve to leverage him fully. Geetha Madhuri occasionally chips in with her gusto. Pulagam Chinnarayana's lyrics are a mix of done-to-death phrases and some inventive ones. Anup doesn't add anything new to the long list of item songs of this genre. Anup Rubens' use of instruments is foot-tapping, giving a racy feeling. The brief number makes the cut. Puri Jagannadh stuffs the album with a hero-oriented song, a hero-indulged number, a hero-heroine romantic track, and an item song. The conceptualizations are pretty jaded. The seasoned singers do a good job.